The 21st of September 2014 marked the 50th anniversary of Malta’s Independence from the British Empire. Whilst many analysts and historians will mark this occasion with various anecdotes and tales from the last half century, focusing on economic growth and prosperity, none will probably mention the impact of this event on the environment. So how has independence shaped the Maltese environment as we see it today? The greatest progress Malta has done in the environmental field can only be attributed to EU accession in 2004. The assimilation of European legislation into national frameworks has meant that Maltese governments could not continue to ignore pressing environmental issues. The longstanding reality with Malta has always been the lack in motivation to tackle environmental issues seriously, so EU membership was the only sure way to overcome this nonchalant attitude. As part of EU negotiations, uncontrolled dumping sites such as Maghtab and Qortin landfills had to be closed off before accession, of which both where completely shut for use in April 2004. These two landfills, together with another landfill in Marsascala that was closed in the 1970 and recently converted to the Sant’ Antnin Family Park, have since been undergoing an EU funded rehabilitation project to reduce gas emissions, improve air quality and restore the areas with new vegetation. Since EU laws dictate that landfilling should only be used a last resort, and Malta classifies as such, a new way of depositing waste was created through the construction of Engineered landfills in Ghallis and Ta’ Zwejra. Another important aspect of our new waste management regime is increased recycling and composting, which despite currently being only at 13% and much lower than the EU average shows a growing trend that is heading in the right direction. Sewage treatment has been a pressing issue in Malta since Independence, with the main outflow plant in Xghajra, being responsible for the discharge of about 75-80 per cent of Malta’s total sewage production, which translated into an annual 20 million cubic metres of raw sewage, animal waste and industrial/chemical waste being pumped out into the sea off the Maltese coast. After four decades of stalling by both Labour and Nationalist governments, each citing financial difficulties, the Wied Ghammieq sewage outflow plant was finally decommissioned in 2011. EU accession offered the funds for a new treatment plant, but bureaucratic delays ensued until this plant was finally opened in 2011 in Ta’ Barkat Xgħajra. Coastal waters off this area have finally been registering positive figures for the first time in over four decades. With three new treatments plants in operation, all built between 2008 and 2011, Malta is now fully compliant with the European Union’s Urban Wastewater Treatment Directive (even though it spent 46 years of its independence depositing untreated wastewater into the sea). Beaches in Malta are an undeniable product of the tourism industry. While beach maintenance was always an important issue from an economic perspective, few ever thought of the quality of bathing water. An annual EU Bathing Quality Report published by the European Environment Agency (EEA) stipulates which beaches in a country are of excellent, good and poor quality, or else should be banned or closed. After a rocky start in 2005, with only around 33% excellent beaches, quality of bathing water has improved immensely with 98.9% clean waters, placing us as second best in the EU after Cyprus. Malta designated its first Marine Protected Area (MPA) in 2005 between Rdum Majjiesa and Ras ir-Raheb, as part of the EU Natura 2000 Network of protected areas. 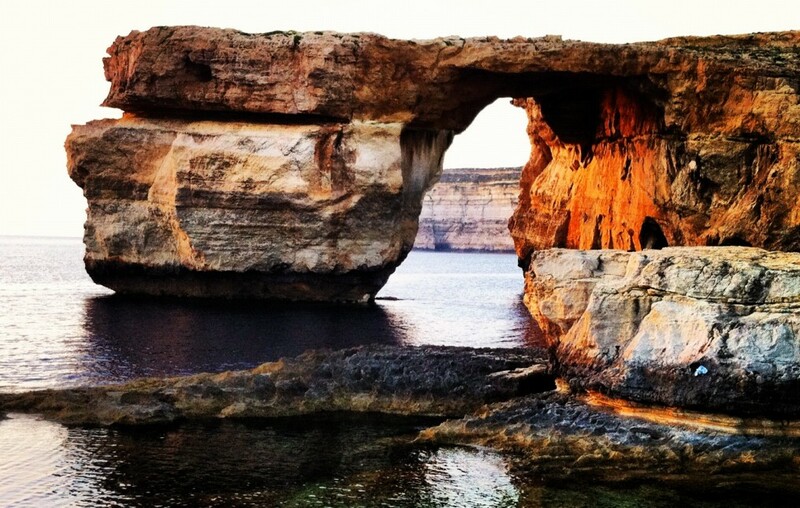 The second MPA was designated in 2007 in the limits of Dwejra in Gozo. A further four new MPAs were designated in 2010, bringing the total to six. Considering that Malta is an archipelago with a rich history in maritime affairs, it was vital that our seas would also receive legal protection. Several areas around Malta and Gozo have been granted protection long before EU accession, such as Filfla (1988), General’s Rock (1992), St. Paul’s Islands (1993), Buskett and Girgenti (2001) and many more. Numerous sites have been designated since 1994 under the Development Planning Act (DPA) and the Environmental Protection Acts (EPA) of the Maltese legislation as either Nature Reserves or Areas of Scientific Importance. EU membership providing additional framework to include more sites and international protection to some of the already listed sites, providing at least 20% total land area being currently protected. Species have followed a similar pattern, where protection was provided under the EPA or DPA. 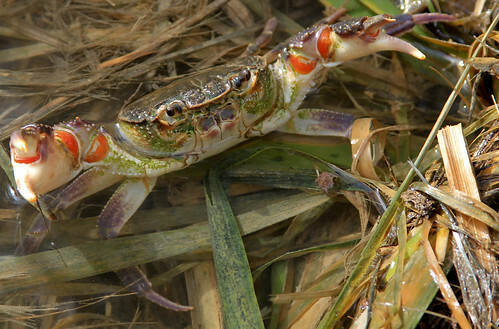 Important organisms such as the Painted Frog, the Maltese Freshwater Crab, all reptiles, and endemic plants such as the Maltese Rock Centaury and the Maltese Everlasting have long been safeguarded by national legislation. New species have been subsequently added to the list after the incorporation of EU laws, as well as all designated species listed by CITES since it was ratified in 1975. It is difficult to quantify the exact number of extinct species during the past 50 years, as this is a relatively short period of time to confirm whether or not a species has become truly extinct in the wild. However, there is a particularly unsavoury example in the extinction of subspecies of the Maltese Wall Lizard (Podarcis filfolensis) which was located on St. Paul’s Islands in Malta – Podarcis filfolensis kieselbachi. Towards the end of the 1990s, St. Paul’s Islands became a popular spot for yacht owners to disembark and barbeque. This resulted in an increased population of rats on the islands, which upon consuming all the garbage left by revellers turned to the local lizard population for food. A 2008 study conducted by Sciberras and Schembri over a period of eight years between 1999 and 2007 has attempted to scrutinize the population structure of P. filfolensis kieselbachi, but despite a rat eradication programme initiated by the Maltese government in 2006, no lizard sightings were subsequently reported. The current status of this lizard is unclear, but the researchers believe that this subspecies has become extinct. An alien (or introduced) species is a species that exists outsides its native and natural distribution range. While not all ‘aliens’ can be harmful to the local environment, as exemplified by the accidental introduction of the European chameleon by Jesuit priests in around 1880, some of these introductions damage local biodiversity and are considered to be ‘invasive’. It is generally easier for islands to control and manage invasive species, as water acts as a natural barrier. However, organisms can be accidentally introduced through airfreight, cargo, ship ballast water or as pests in legally important plants and trees. There is also the deliberate release of imported ornamental plants and pets into the local environment. All of the above have unfortunately occurred in Malta’s 50 years of independence, and governments have so far not managed to eradicate invasive aliens. The Levant water frog (Pelophylax bedriagae) and the Red-eared slider (Trachemys scripta elegans), commonly sold as pets in Malta during the 1990s, have been deliberately released in the environment. These species are highly voracious, threatening local insect species and displacing the endemic Painted Frog from already scarce freshwater ecosystems. Recent introductions include the Red Palm Weevil (Rhynchophorus ferrugineus), which was accidentally introduced in 2007 as a pest hiding in imported palm trees, leading to the decimation of countless old palm trees in Malta. The summer of 2009 also saw the accidental introduction of the Asian Tiger Mosquito (Aedes Aldpoictus), which most likely hitched a ride on cargo arriving from Sicily/Italy. This pest adapted rapidly to the local climate and has since established itself as a great nuisance. Independence was a main initiator to development in Malta, which contributed to the first boom between 1964-69 in the construction of touristic facilities, luxury homes for British expats, and Industrial estates in Msierah, Mriehel and Bulebel. Despite this boom bringing unprecedented economic prosperity to the Maltese Islands, the environment was not so fortunate as land use planning was disregarded, leading to the first real ‘concrete’ separation between Malta’s natural environment and cultural urban settings. This bout of rapid development by the Nationalist government was closely followed by the Mintoffian development of the 1970s, which was describe by a 2005 article by Prof. Louis Cassar (University of Malta’s International Environment Institute) and his colleagues as having “disfigured entire rural landscapes beyond redemption”. During this period, the number of factories in Malta continued to proliferate (204 by 1976), more housing schemes were set up for lower social classes, and new property was constructed for first time Maltese homeowners. Malta can be said to be currently undergoing a third wave of development, a direct result of our EU membership and increased demand from a growing population, increased tourism and the demand for Malta as a place for wealthy foreigners to purchase summer houses. The only difference is that land is getting scarcer, and since Maltese people insist on forgetting this is a finite resource, current construction trends are a sure recipe for disaster. As an arid and hot island in the middle of the Mediterranean, water availability has always been an issue. The Knights of the Order of St. John initially rejected Malta in the early 16th Century as a settlement due to water scarcity, and this issue is still a prevalent one today. The state of freshwater in Malta, mainly as groundwater, has been slowly deteriorating since its Independence. A 2006 publication by the FAO refers to the state of Maltese water resources as being ‘poor’, while recent national statistics describe a 3.6 per cent increase in annual abstraction. Malta currently abstracts around 44-46% of groundwater to meet local freshwater demands, with the remaining being provided from desalination plants, the latter which absorb around 3.7-4.8% of total electricity produced in Malta. With the number of tourists in Malta now surpassing the million mark in a given year, there is greater pressure on groundwater resources than ever before, which could very well lead to a water crisis in the not-so-distant future. The past 50 years have been instrumental in changing the Maltese environment. Despite the fact that waste management practices have greatly improved and that the necessary legislation is in place, current development and environmental management practices are due for a massive overhaul. Current and future government should really consider whether Malta’s economic ambitions will lead to its environmental undoing.